In response to Mrs. White’s attempts at censorship, as well as the larger McCarthy witch hunt it was part of, five students from Indiana University at Bloomington (IU) started the Green Feather Movement. The IU students—Bernard Bray, Mary Dawson, Edwin Napier, Blas Davila, and Jeanine Carter—went to a local poultry farm and collected six large burlap sacks filled with chicken feathers and took them to the basement of a nearby house where they dyed them green to represent the one worn by Robin Hood. On March 1, 1954, the students spread them throughout campus to protest censorship. Their activism was quite radical when viewed within the political climate of the time, when IU freshmen and sophomore men were still required to participate in ROTC and, according to a January 1954 Gallup poll, 50 percent of the country supported McCarthyism. The students were allegedly investigated by the FBI and disparaged in the local newspaper. Although some faculty refused to comment on the movement for fear of retribution, the psychology department lent lukewarm support, providing some administrative protection. Nevertheless, in May 1954, IU President Herman B. Wells and the student senate denied the Green Feather Movement’s request for official recognition because they were deemed too political. Bernard Bray’s parents. Their religious activism influenced Bernard growing up. The students’ motivation to act was not only fueled by the Red Scare, but also by their faith. In an exclusive interview with the Zinn Education Project, Bernard Bray described how he and his friends met weekly with the Roger Williams Fellowship at the First Baptist Church in Bloomington where they would discuss the burning social issues of the day while sharing a meal and performing vespers. Bray explained the importance of these meetings by saying that “my sort of spirituality was a . . . struggle to find a way to make God’s will become a reality in my life and to that working in fellowship with others and the Roger Williams Fellowship was the ideal context for doing that.” He also noted the influence of a seminarian he knew growing up who was jailed for his refusal to participate in World War II, as well as the religious activism of his own parents, Helen and Earl Bray, who stood up and walked out of their church after someone made a racist comment about a Japanese American. The Green Feather Movement inspired solidarity actions on campuses throughout the country, illustrating the power of student activism. News of the IU movement was publicized in both local and college newspapers throughout the country as well as The Young Socialist Challenge, the bulletin of the Young People’s Socialist League. 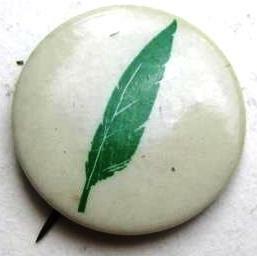 Members of the Labor Youth League (LYL), an offshoot of the Young Communist League USA, distributed small white pins picturing a green feather as a sign of solidarity. Green Feather groups subsequently spread to the universities of Harvard, Michigan, Wisconsin, Illinois, Chicago, and Purdue. Thankfully the attempt to censor Robin Hood failed. 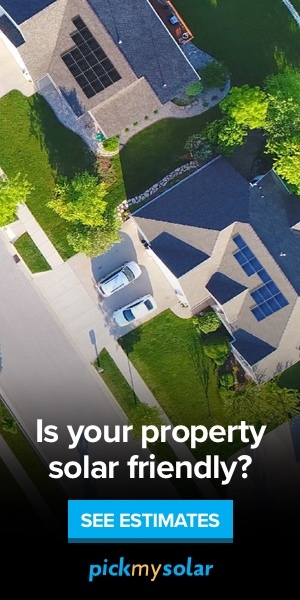 News of these attempts even crossed the Atlantic, where residents of Sherwood Forest in Nottinghamshire, England, the traditional home of Robin Hood, mocked the association of him with communism. When asked why attempts to censor Robin Hood pushed Bray to action, he explained that the issue wasn’t Robin Hood as much as “a great opportunity to find a symbol to fight McCarthyism—it was more a matter of principle.” Although the Green Feather Movement lasted less than a year and concluded more than 50 years ago, we are still confronted with the same kinds of censorship in communities throughout the United States today. These displays of activism and solidarity were important challenges to the abusive power of McCarthyism. As students and teachers are faced with attempts to censor people’s history, the Green Feather Movement inspires us to support the right to teach outside the textbook. —By Alison Kysia. Kysia has taught history at Northern Virginia Community College-Alexandria for six years. She is a 2013 Zinn Education Project Fellow at Teaching for Change.